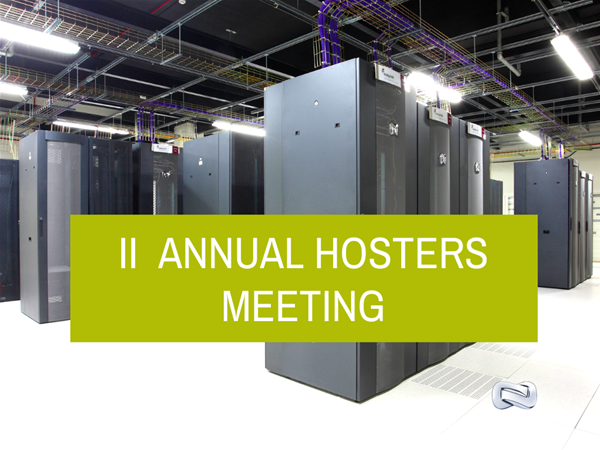 GESAB has participated in the Second Annual Hosters Meeting organized by Computing in partnership with Dell and Intel. At this meeting it was announced the results of the 2nd Market Research for the Hosting Industry in Spain and it was discussed, among other topics, the role of energy consumption within the Data Center and different policies regarding the energy savings that can be taken. The implementation of energy efficiency strategies in the datacenter is one of the key areas in which large hosting companies have set their sights. This, coupled with cost reductions in energy consumption and less environmental impact, were the main topics of this meeting Not surprisingly, competition in this market is becoming more aggressive and the economic situation lead firms to minimize their operational costs. GESAB is aware of these needs in the hosting sector and employs large resources in innovation to provide real solutions to the demand for Data Processing Center with very low energy consumption. Ecooling system is a patented cooling equipment getting a dtacenter using outside air, achieving significant energy savings while minimizing the CO2 generated. Definitely an outstanding contribution to the hosting market to control a higher and higher costs for energy consumed to cover an increasing volume of data storage and processing .